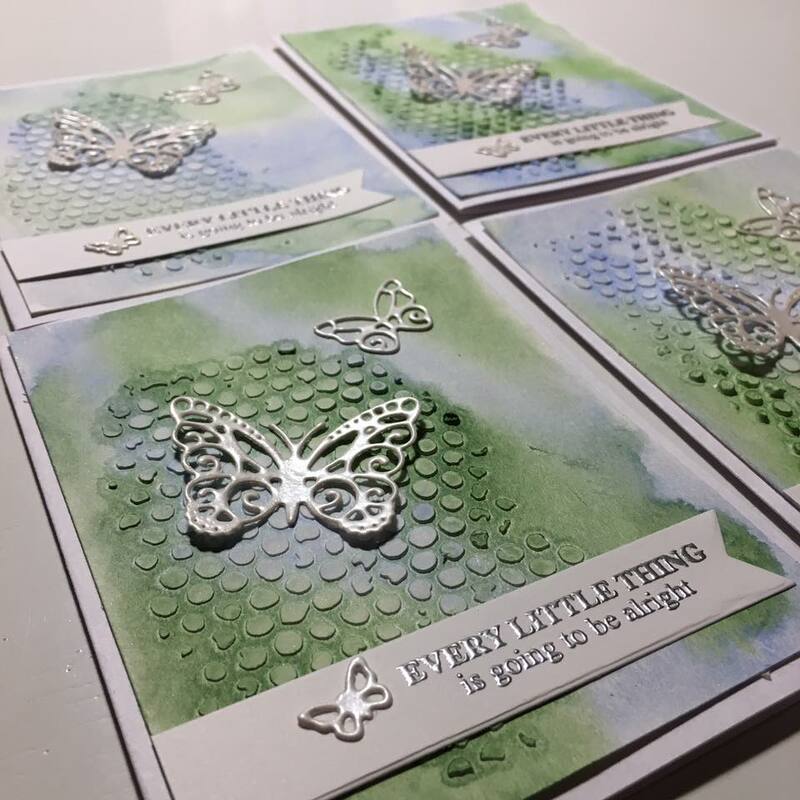 Here are some of my stamping projects and thoughts. Since I'm home for the summer, I'm trying to stay busy making cards. I normally pour over ideas for school and my classroom. But this summer I decided to really take a break and try some new things for myself. So I've been watching lots of videos on YouTube on cardmaking. I've found several amazing channels to follow. 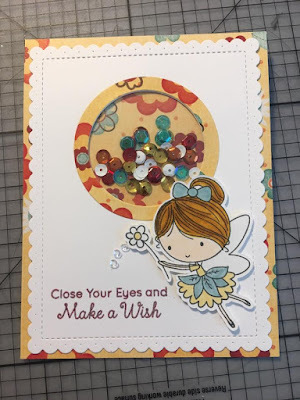 I saw this videos recently and knew I wanted to try to recreate this card from Sandy Allnock. 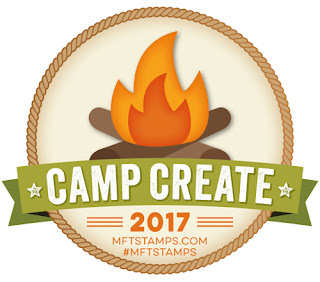 I started by stamping all my images. I watercolored them but was a little hesitant to try to add the background. I waited overnight for the watercolored images to dry and to work up my nerve. This is my final outcome. I added some pearl shimmer paint to the fairy wings and background. I'm pretty happy with the way they turned out. Thanks for looking! I have been learning about different textures you can use on your cards from scrapbook.com- Mixed Media Tips and Techniques for Beginners with May Flaum. 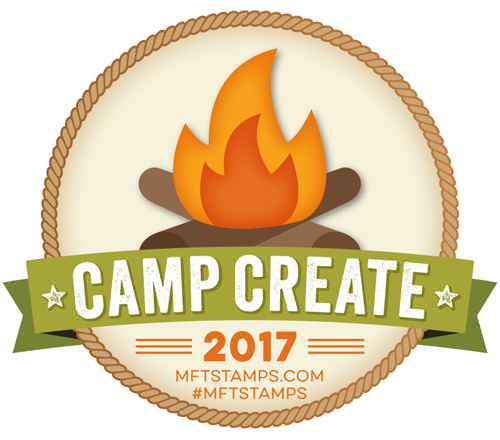 Many of these were new to me because I normally just stamp, color, and put my card together. I ran up to Michael's and picked up a few things. I couldn't go crazy with supplies but I picked up a few I thought I would use. The one I tried yesterday was whipped spackle. 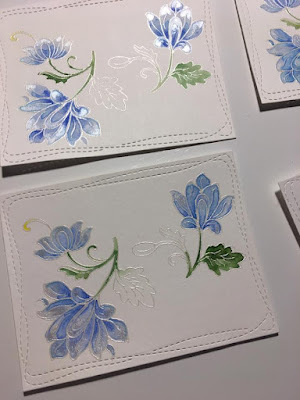 I used it was a palette knife and my Tim Holtz stencil set 5. I've become obsessed with stencils lately so I wanted to try my spackle with this one for a distressed look. I didn't put it on evenly because I wanted that worn look. I decided to go with the wet on wet watercolor look. I crossed my fingers and went for it. I misted my paper with water and then put watercolor on it, blue and green. Because I"m impatient and my idea was coming together, I dried it with my heat tool. 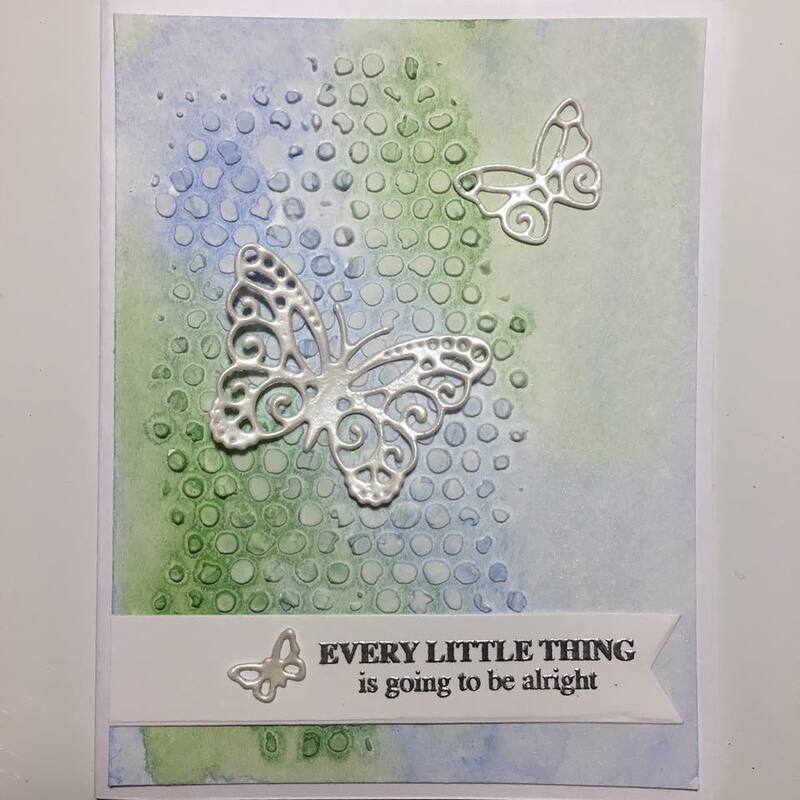 Then I used some butterfly dies that came in a magazine my wonderful husband bought for me a few months ago when I was sick. I die cut them, coated them with Versamark, and coated them with silver pearl embossing powder. That was a little tricky but I figured it out. I cut of the white CS for the sentiment using the Lawn Fawn Everyday Sentiment Banner. I picked words from one of my favorite sets, SSS Uplifting Thought Among the Stars. 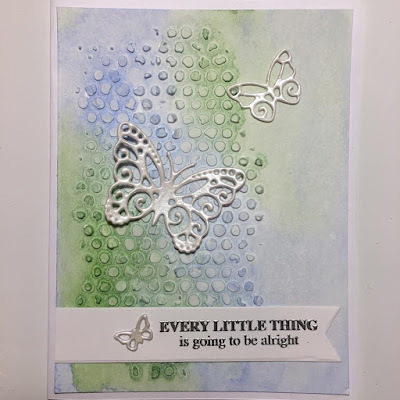 I stamped it in Versamark and embossed with silver powder. 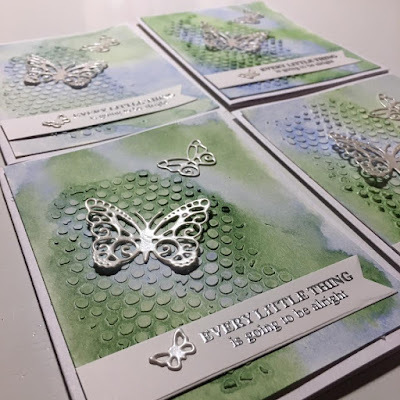 Then I glued 3 different sized butterflies on the card front. 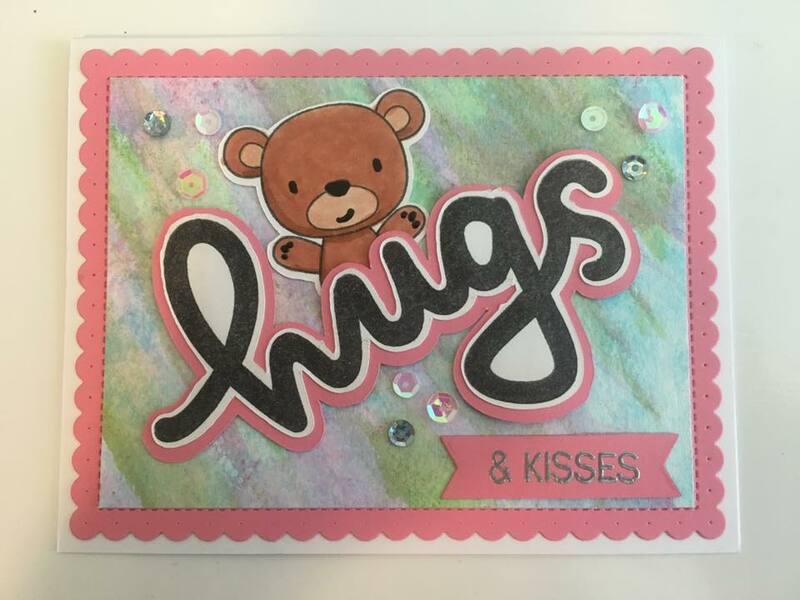 This was not my typical card, but I'm in love with it! Thanks so much for looking at my card today. 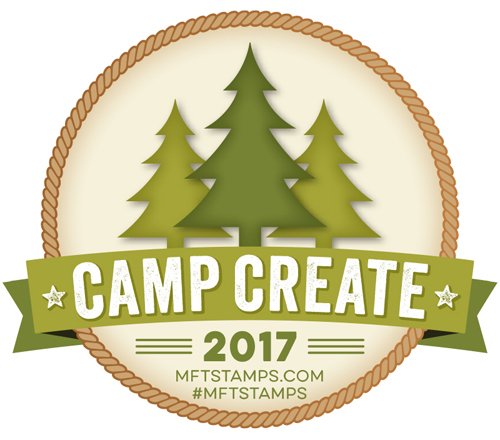 I made this card for the MFT Sketch #338. I wanted to keep this pretty basic so I pull out some old designer paper. I popped up the balloon and circle with the elephant on it. I also added some glitter & crystal effect on the balloon. A few sequins finished this one off. I had an idea for a card in my head and it worked out! After watching Jennifer McGuire's video (below) I had an idea for a card. 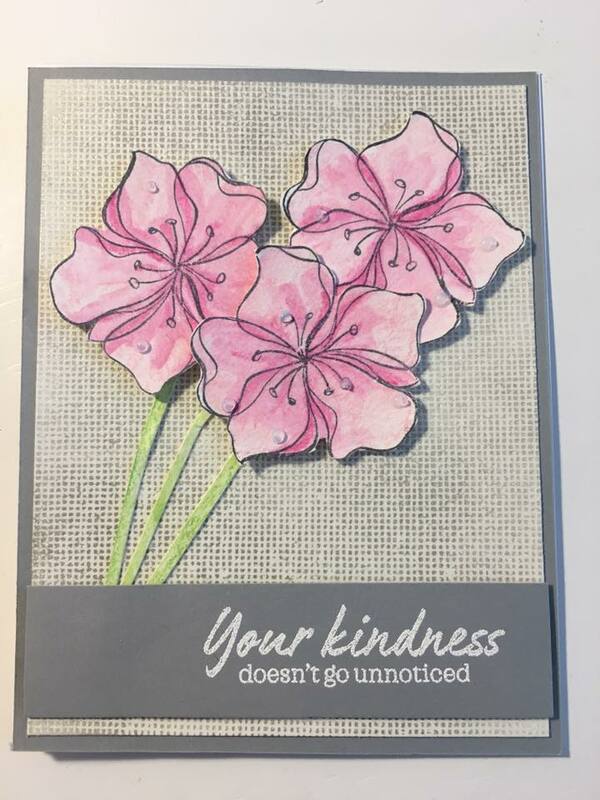 I have only made one watercolored card but I had to try this. She made it look so easy so I gave it a try. 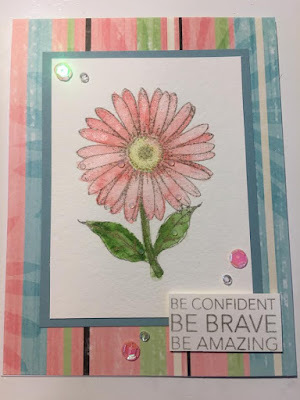 To start, I cut out watercolor paper using the Wonky Rectangles die from Simon Says Stamp. I also cut out a circle of watercolor paper with the SSS Stitched Circles. I wanted the flowers to look like they were coming from under the circle I had planned for the center of the card. 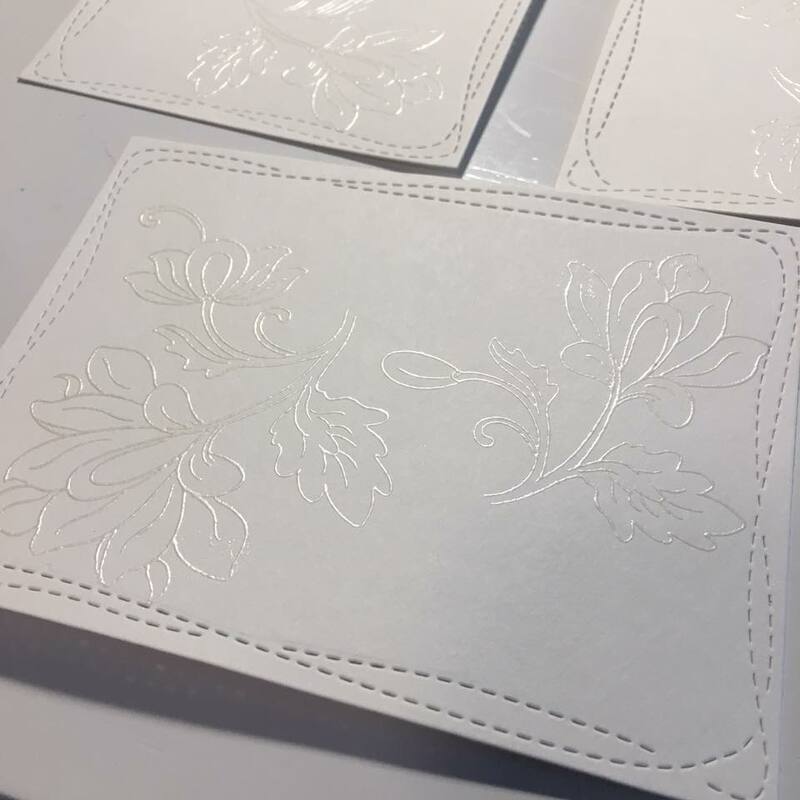 I used my Misti to set it all up and I stamped Altenew Persian Motifs and embossed it with sliver pearl embossing powder. 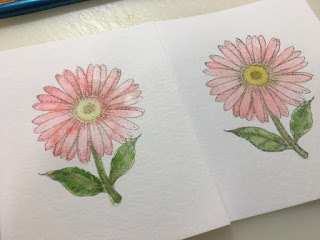 I used my watercolors to color the flowers. I haven't used watercolors much at all but by painting in the water first, all I had to do was drop the color in. It spread out and was relaxing to watch. The hardest part was waiting for the watercolor to dry. 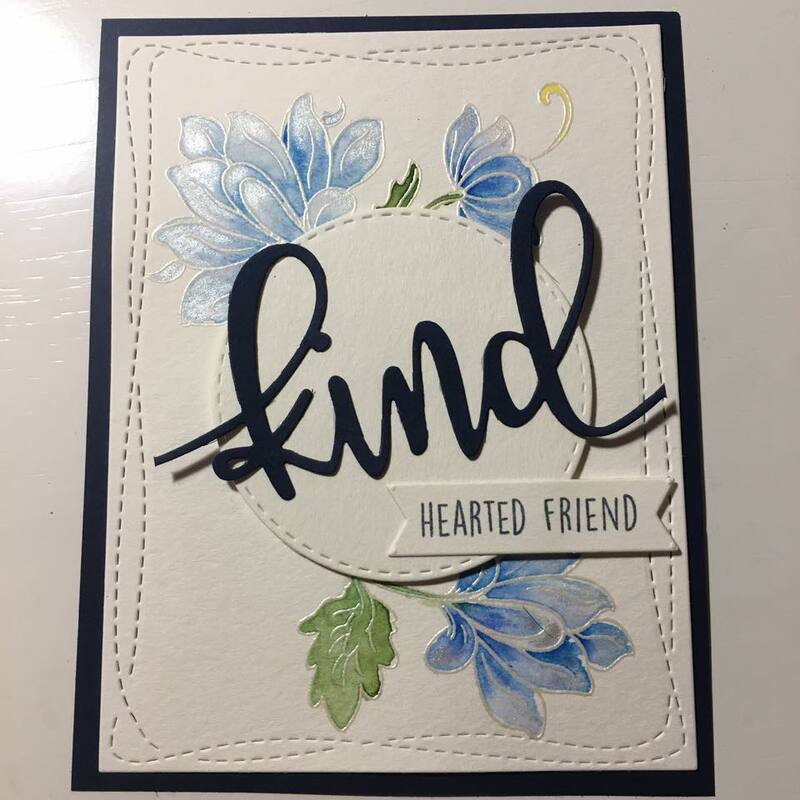 While I waited, I cut out the word kind from navy cardstock using the Concord & 9th Kind card frame add-on. It leaves the end of the word attached but I just snipped it off to use on my circle. 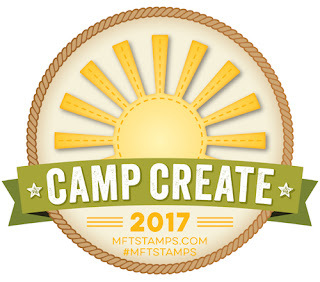 Then I cut a small banner and stamped Hearted Friend from Concord & 9th Kindhearted stamp set. I can't wait to use this set more (it is new) because it is so versatile. I added some dimension to the circle and banner with my roll of foam tape. This is my finished card. I'm so tickled with the way this one turned out! 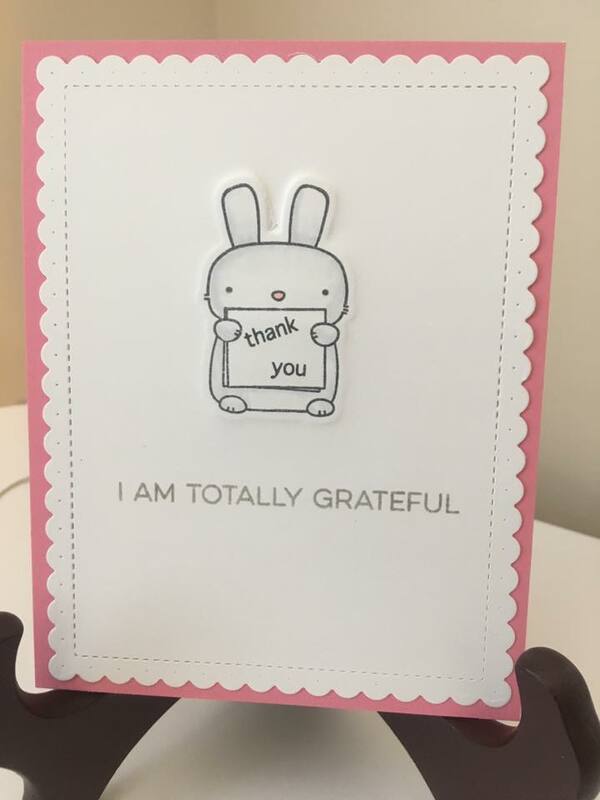 Thanks for taking the time to take a look at my card. 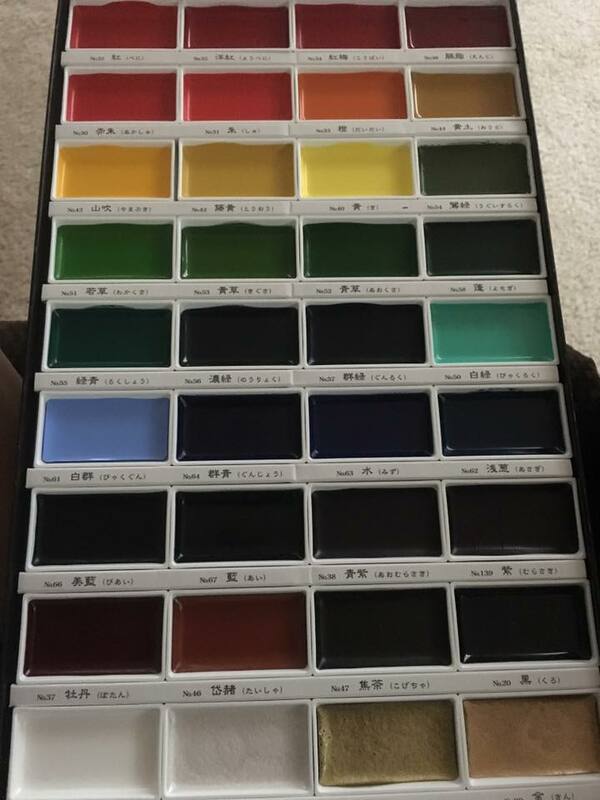 Yesterday, my very first set of watercolors came in the mail. I found these Kuretake Gansai Tambi Watercolors for a really good price on Amazon. I also got some brushes because I didn't have any. I pulled out an old daisy stamp I have had for a really long time. 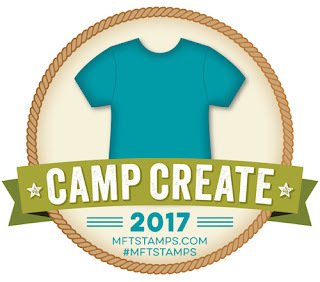 I figured it was a good stamp to start with, since this was the first thing I've ever watercolored. I love how you can paint it with water and then just drop the color in. It is really neat to watch. To make my card I dug in my stash of paper and found this. 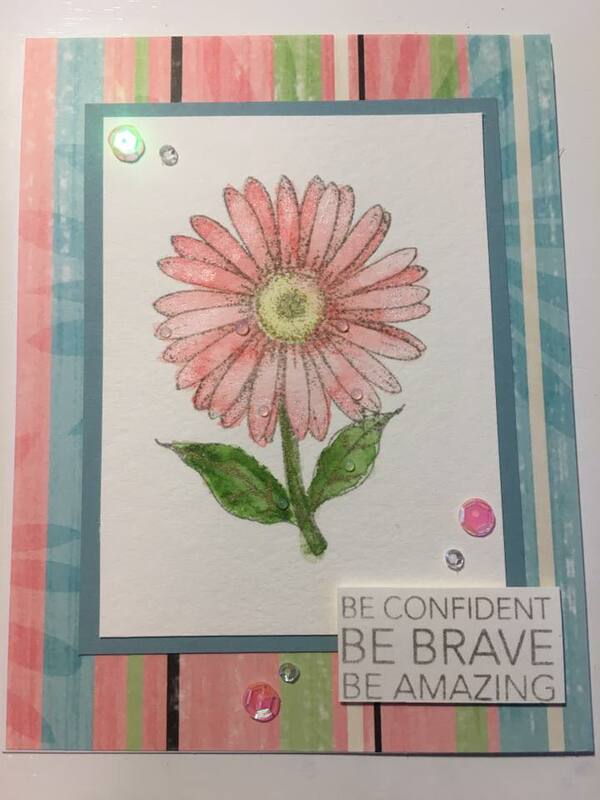 I thought it went well with the daisy stamped image so this is my finished card. I added some Nuvo clear drops to look like water and then added a few sequins. 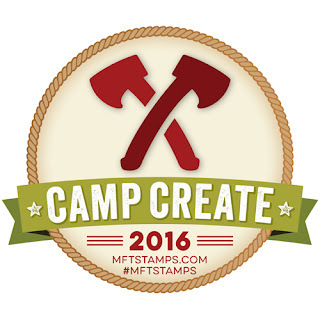 While exploring new blogs for inspiration, I ran across Where Creativity Meets C9. 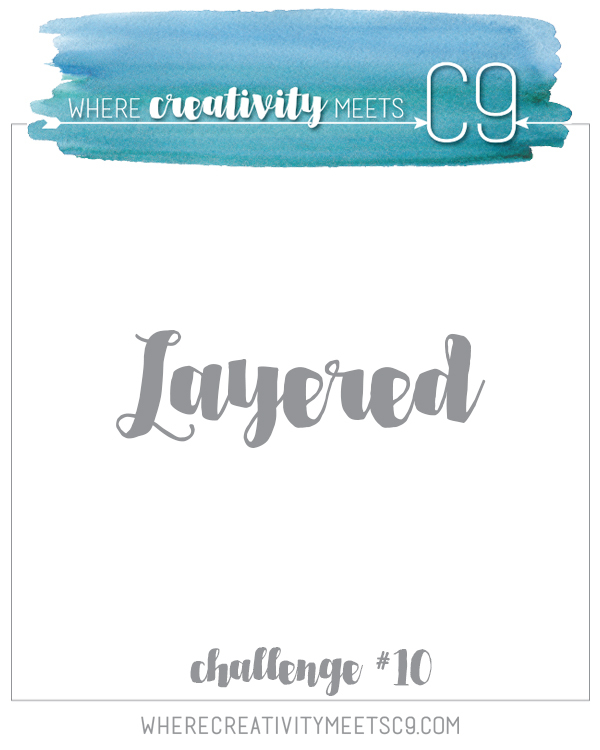 Their challenge for the month of June is layered, so I had to play along! I just recently discovered Concord & 9th stamps and I love them! So I pulled out my newest set, Cuddles & Hugs. I used my distress oxide inks to create the stripes. 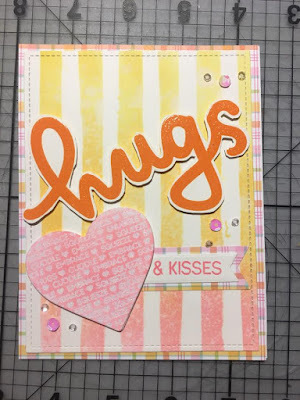 I also stamped hugs with distress oxides and embossed it with clear embossing powder. Then I stamped the image on the heart, embossed with glitter embossing powder, and covered it with pink distress oxide ink. I cut several of the hearts and layered them up to give it some dimension since this challenge is about layering. I finished it off with some sequins because no card is complete without a little bling. I took a picture from the side view so you can see the layers and dimension those layers added to the card. 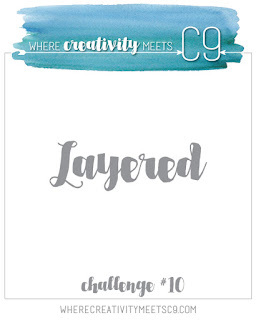 Thanks for taking a look at my card and make sure to check out the Layered Challenge from Where Creativity Meets C9. 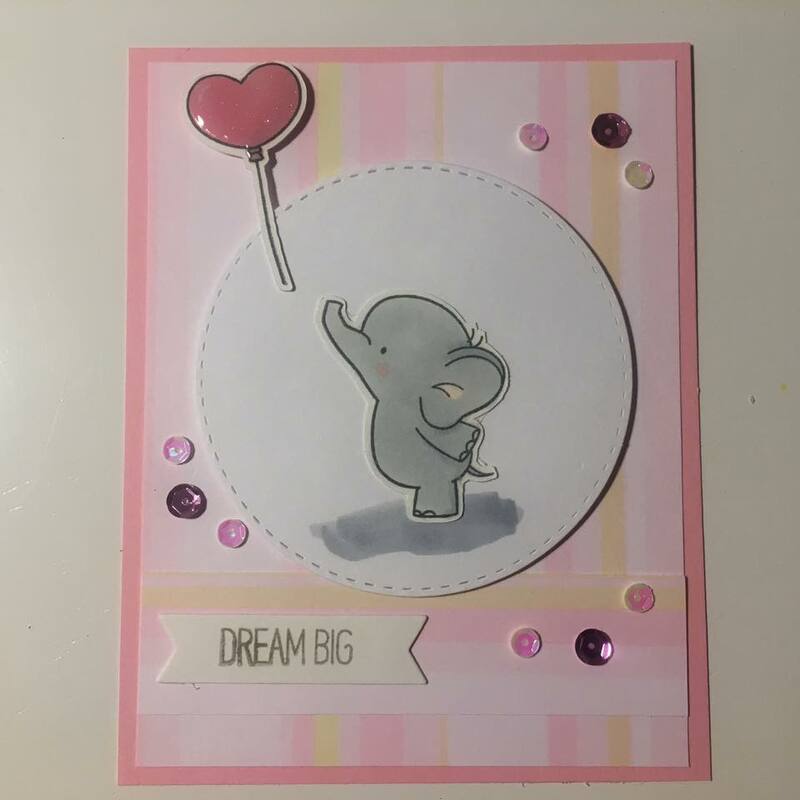 When I saw this card from Nina Marie on Simon Says Stamp on YouTube I knew I needed to make it! I didn't have to paint but I did pull out the Watercolor crayons I bought but didn't know how to use them. I colored the globe with them and then misted them with some glitter spray. I loved the colors she used so I kept them all close. 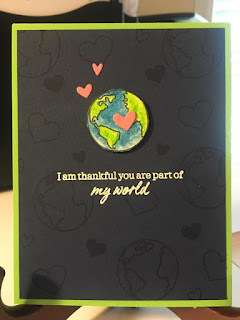 Thanks so much for taking a look at my card today! 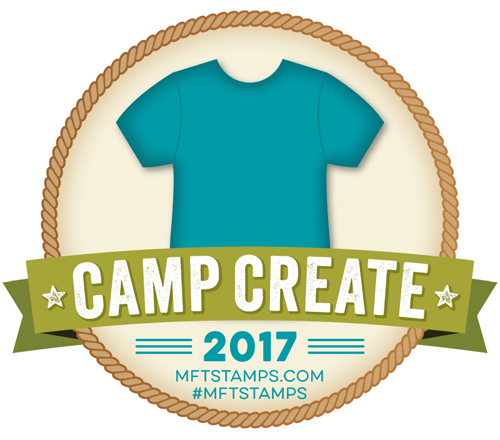 I completed the final challenge for MFT Camp Create! I have really enjoyed all these challenges. They've encouraged me to try things I wouldn't normally do on my typical cards. I love glitter but my husband hates it so I don't use it often. When we lived in the apartment I had glitter everywhere. It was even on his range bag. When we moved in the house he said no more glitter! So I've been doing really good. 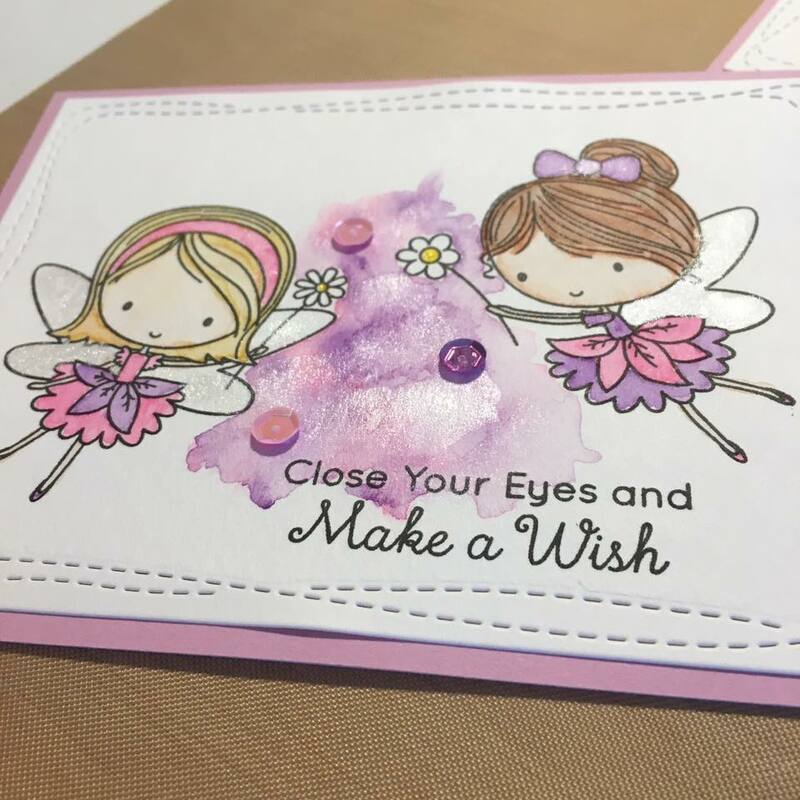 I normally use my glitter pen or a little glitter mist inside a box for the shimmer on my cards. When this challenge was posted I laughed and told him the final one was glitter. 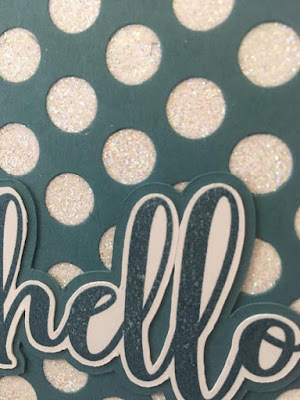 I used my favorite die cut from MFT, Peek a Boo Polka Dots. I put it on some adhesive paper and then sprinkled it with glitter and rubbed it in on all the dots so it would stick. 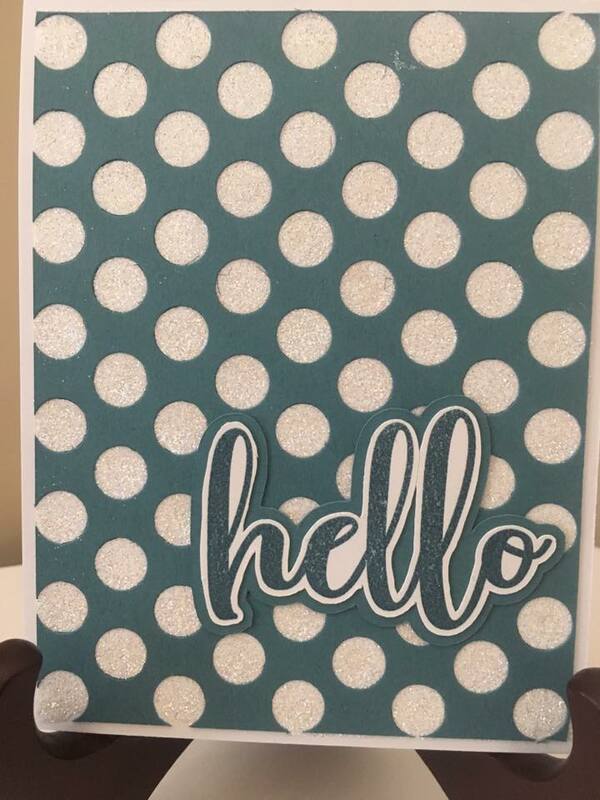 I didn't want the card to be too busy so I decided to go with a simple hello stamp from Honey Bee Stamps. I used my Scan N Cut to cut it out and then increased the outline size and cut it out from matching blue CS to go behind my sentiment. 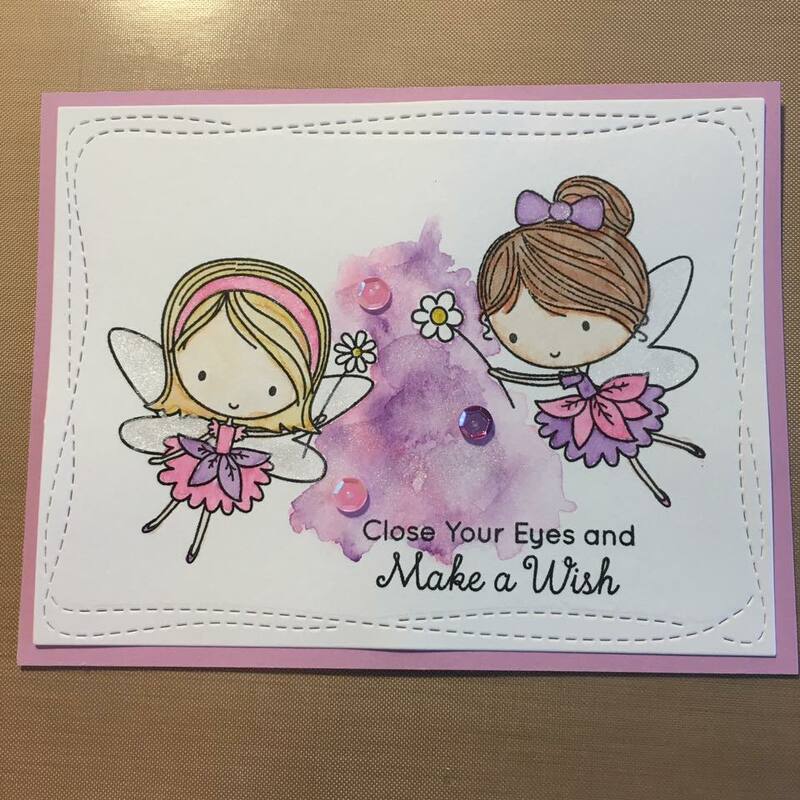 I really love this card but it is going to have to be mailed out quick! 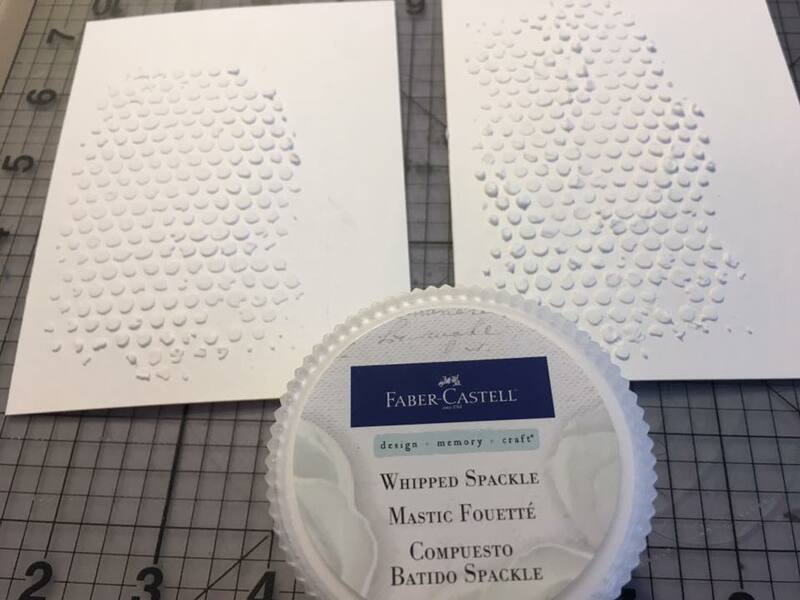 So I decided to attempt the second technique, dry emboss with die cuts. 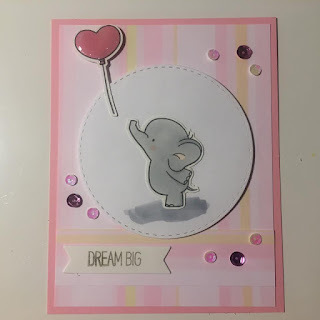 I don't have a lot of die cuts for stamped images because I have a Brother Scan N Cut, but I do have the one for this Hampton Art/Mama Elephant set (Dos Amigos). I cut out 4 layers and stuck them together to use to dry emboss my little bunny on the card front. 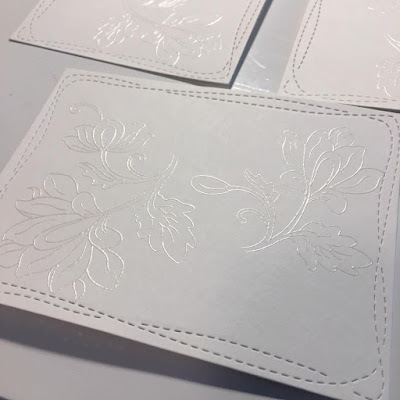 Something isn't quite right and I don't know enough about dry embossing to fix it. The top pressed almost through the paper and the bottom didn't emboss as much as I would've like it to. I used the words from MFT More Essential Sentiments. Oh my goodness! 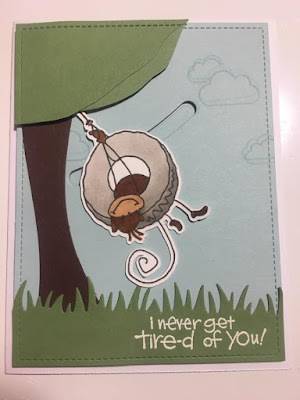 I had so much fun making this card! It was a challenge but I wanted to make it look like the monkey was swinging from the tree. I trimmed down some brown and green cardstock to create my tree and positioned the slider so it went up at an angle. I haven't used these stamps in a really long time and it challenged me to try something new. Thanks for looking at my card today! Today's challenge was a shaker card. 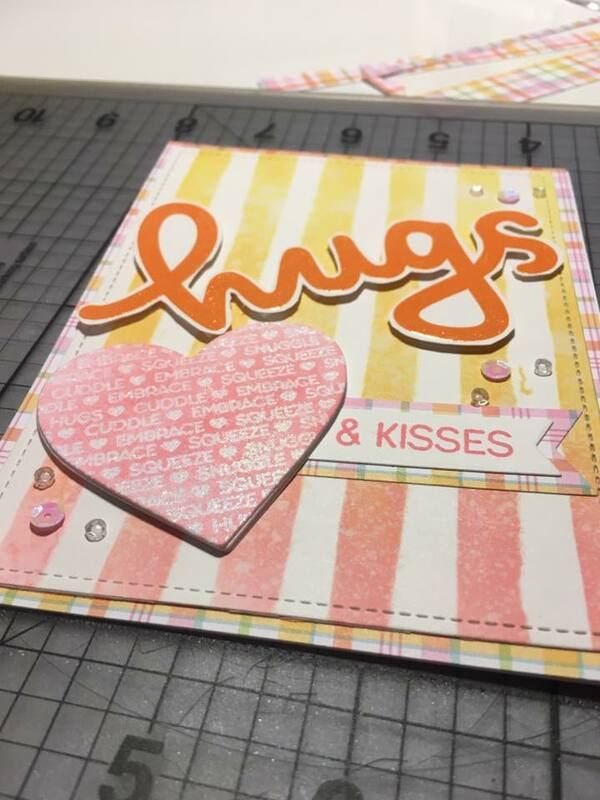 I normally use my Fuse tool to make my shaker cards but Laurie used craft foam to create hers. This is a great idea but I didn't have any on hand so I stuck with the Fuse tool. 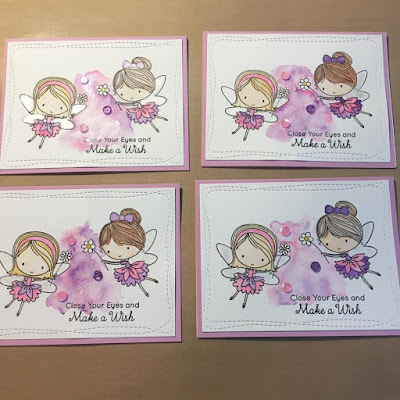 This fairy set is one of my new sets that needed to have ink put to it. I also use the MFT circle shaker dies to cut the circle in m cardstock. You can't see it in the picture but I put some glitter on her wings. Thanks for looking! I was inspired by today's challenge so I decided to step way outside my comfort zone. I normally don't create floral cards but the example card for the challenge was beautiful and inspired me to create one of my own. I pulled out stamps I haven't used in years, even had to wipe the dust off them. I used SU Canvas background and the flowers from another old SU set. I used my watercolor crayons to color the flowers. Today is the first day I have used those crayons, and that's another thing I've had for years. When I stamped the Canvas background I embossed it with clear and added gray ink on top of that. I'm planning to try to complete the challenges posted by My Favorite Things this week. WOW. I think I can get in! 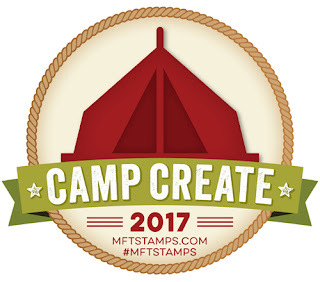 UPDATE: Moving my creative blog!! 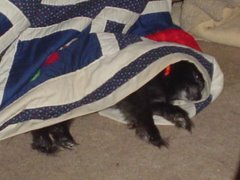 This is a picture of my little dog Bandit. He loves to pull the blanket down off the couch and cover up.